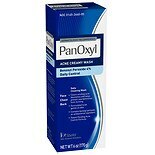 Shop PanOxyl Benzoyl Peroxide Acne Creamy Wash (6 oz. )6 oz. 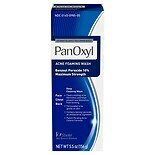 Shop PanOxyl Acne Foaming Wash (5.5 oz. )5.5 oz. $1199$11 and 99 cents$2.18 / oz.